This cultivar was registered by Tony Avent of Plant Delights Nursery in North Carolina in 1998. It is a sport of H. 'Sun Power' and forms a large size (28 inches high by 70 inches wide) mound of wavy, slightly corrugated foliage. Pale lavender flowers open in July but it is sterile and does not set seeds. According to The Hostapedia by Mark Zilis (2009), this cultivar "...is the most widely distributed green-centered, gold margined sport of 'Sun Power' in the nursery industry. 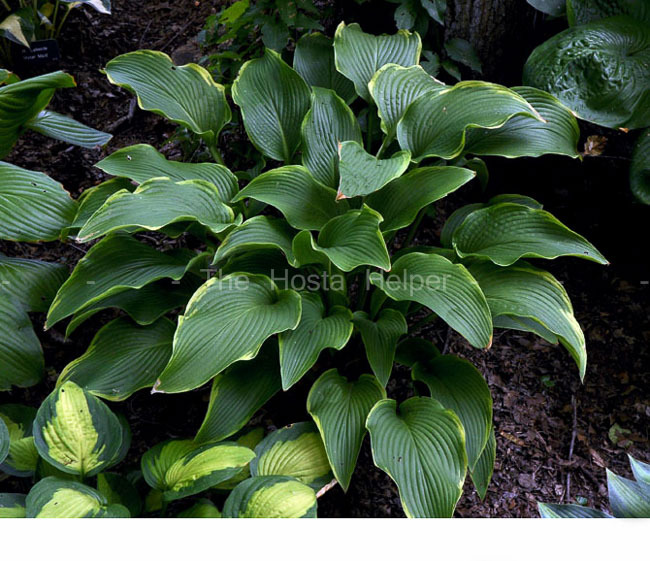 It makes an outstanding background or specimen plant." 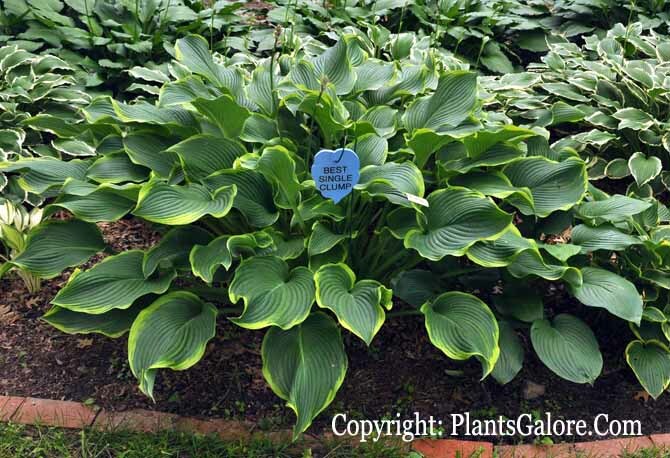 The New Encyclopedia of Hostas by Diana Grenfell (2009) states: "Performs well in sun even in hotter climates. A moderate to good increaser...Leaves emerge green but quickly develop the attractive, bright yellow margin." In an article about hybridizing by Tony Avent in The Hosta Journal (1996 Vol. 27 No. 1), Tony gives the following comments on cultivars he has introduced: "H. 'Abba Dabba Do' - a great gold margined sport of H. 'Sun Power' ...very sun tolerant...makes a grand old clump."